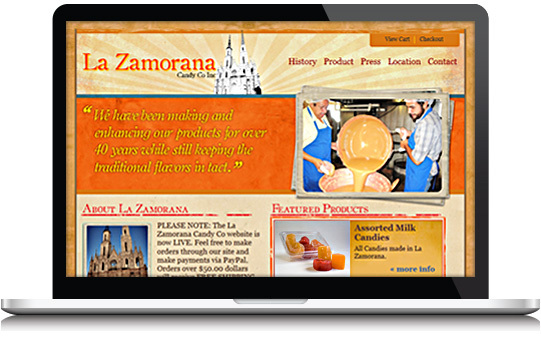 You are here: Home / Our Work / La Zamorana Candy Co. The project goal was the setup of an e-commerce system that would allow for easy product ordering, management of products, customers and orders. WebX360 implemented a powerful ecommerce system and integrated the website design. The client now saves time and sales continue to increase by utilizing the content management tools provided.